Diabetes mellitus (DM) type 1 is a chronic disease that makes the body incapable of using its insulin to break down glucose or fail to produce enough insulin. The condition results in high blood sugar, which can cause other serious health problems such as vision loss, kidney disease and heart disease. Symptoms include excessive thirst, frequent urination, compromised vision caused by fatigue, extreme hunger and weight loss. Meanwhile, medical research has found that 90 percent of type 1 diabetes patients are children and adolescents, as revealed by physician Haryudi Aji Cahyono from Saiful Anwar Hospital Malang during a "Nutrition Education" event held at the school of medicine at Brawijaya University in Malang, East Java, on Jan. 27. "However, unfortunately, when patients first come almost 90 percent are already in a severe condition, such as with seizures and even in a coma," Haryudi said. He said in 2005 he had only handled five diabetic patients, but now the number has increased to 120. "That's just one doctor; you can imagine how many in total," he added. Haryudi said one reason was the lack of education on nutrition, not only for patients but more so for parents and families who look after children at a young age and guide their nutritional intake. Therefore, he continued, the hospital, along with the campus and the community, would increasingly hold classes, one of which was on nutrition. "There are five important pillars for managing DM, namely giving insulin, diet, exercise, education and routine blood sugar checks -- all of which are interrelated," he explained. Haryudi said that if handled properly, patients with this type of DM would be able to live normal lives and not progress to type 2, which is harder to treat. "It cannot be cured, but if it is always controlled, then it is possible life would be the same as for other normal people," he said. Haryudi said as an example that in the United States there is a diabetes sufferer who has reached the age of 99 years. 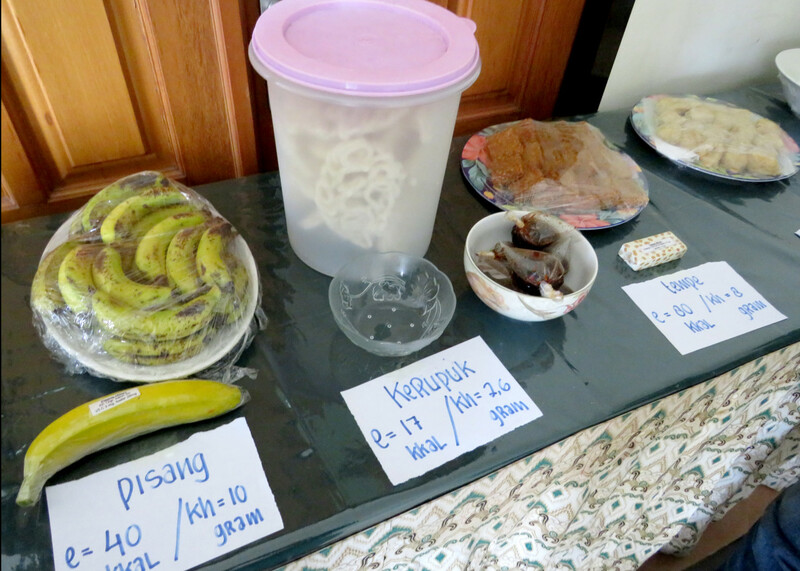 Dian Handayani, a teacher in the nutrition department of the university's school of medicine, added that patients must be assisted to organize their diets independently, including by being taught about their nutritional status, whether underweight, overweight or obese. "Moreover, eating is a basic need, but it must be arranged in such a way so that complications do not appear in the near future, so that the quality of life can also be better," Dian said. She also compiled information on nutrient content, both in home-cooked food and fast food, so that not only sufferers, but the wider community can know it in detail. Dian said it is only the second time an education session like this had been held and the plan is for it to be held regularly. One of the parents, Munfarida from Malang, East Java, said that she was very happy to participate in this event. "I am very unfamiliar with nutritional problems, while only a month ago my 11-year-old child was found to have this disease," she said.